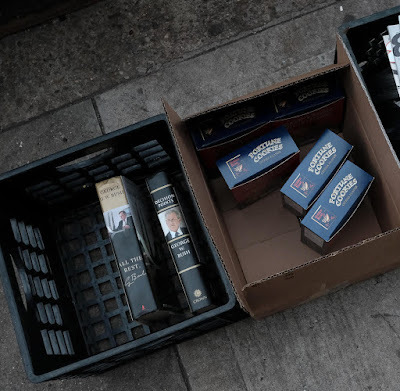 On Seventh Street, we have the following discarded items: two Bush books and several boxes of fortune cookies. Photo by Derek Berg. Are you sure it was trash? It may have been a Presidential Memorial.